When it comes to gorgeous fall views, we’re not sure which one closes the deal. Sunlight flickering across Natural Bridge. Outdoor markets bustling with farmers and produce. Or maybe it’s the colorful swaths of foliage blanketing the Blue Ridge Mountains. With country road crisscrossing the whole tableau, Rockbridge County is also easy to explore. 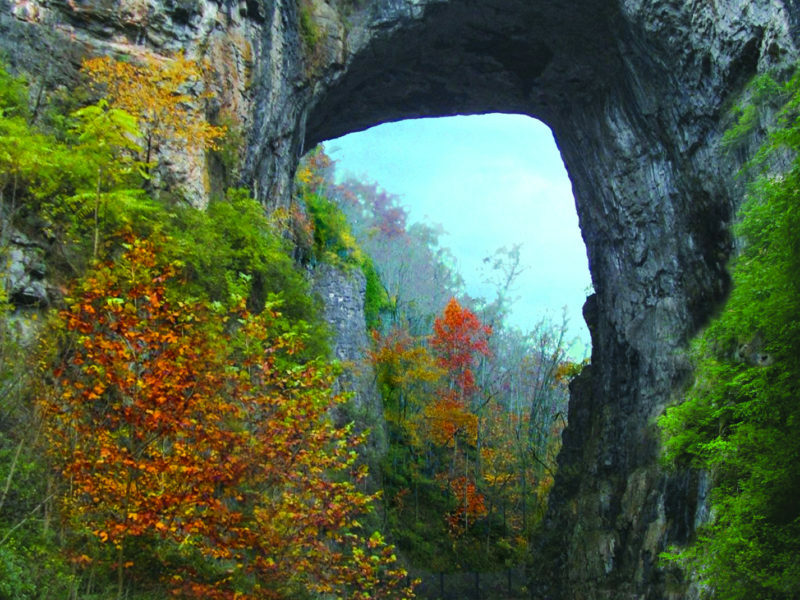 Visit the Natural Bridge State Park website for the latest fall events. For quiet contemplation, stroll the leafy Cedar Creek Nature Trail, which unfurls beneath the arch and leads to a waterfall. Trailside, Virginia bluebells, trillium, and wild columbine add splashes of color and contrast. Great blue herons loiter in the adjacent creek, red-bellied woodpeckers forage on hardwoods, and hidden yellow-billed cuckoos trill their distinctive calls. What sights await on your fall drive on the Blue Ridge Parkway? Foraging wildlife, colorful leaves, and sunsets that replenish the spirit. What you won’t find? Stoplights. There’s not a single light on this 469-mile byway, which links Virginia’s Shenandoah National Park with Great Smoky Mountains National Park in North Carolina. Along the Parkway, lofty overlooks share gob-smacking views of the Shenandoah Valley. Parkway officials like to share photos of the view from Chimney Rock Overlook, north of Route 60 at Buena Vista. Check out that expansive southern panorama! The best displays of fall color – oranges, yellows, reds - usually appear from mid- to late-October. Don’t see many colors? Keep driving. Displays vary by elevation. For a foliage update, call the Fall Color Report Hotline at 828-298-0398, ext. 3 or visit BlueRidgeMountainLife.com. 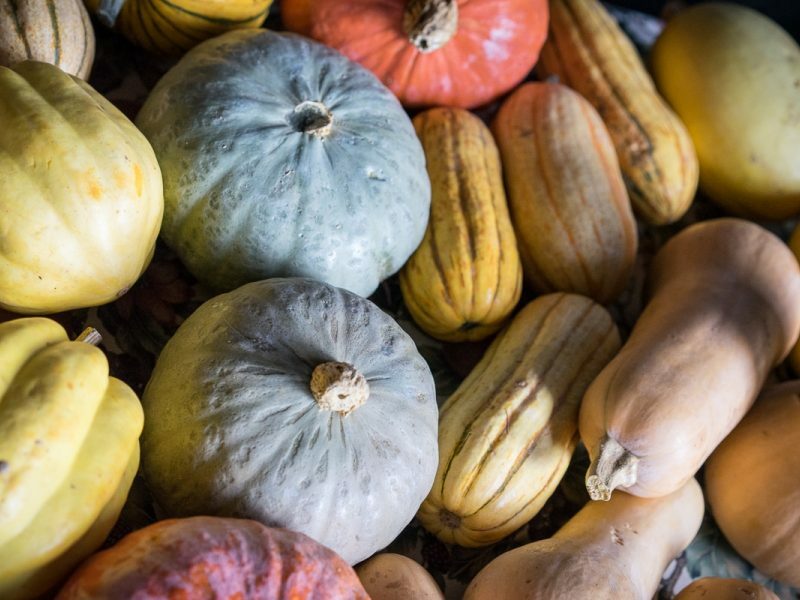 Beauty arrives by the bushel in early fall, as local farms continue to reap their harvests. On market mornings, tables groan with golden honeys and colorful jams. Baskets overflow with squash, zucchini, collards, kale, radishes, and oh-so- many pumpkins. It’s a bacchanal of autumn freshness. Other highlights? Farmers and artisans sharing warm hellos and loads of agricultural know-how. Town gossip is always free. Nature walks and bird walks are also going strong. More than 2,500 specimen trees are the draw at Boxerwood Nature Center & Woodland Garden, a short drive from downtown Lexington. Its 15 acres of wetlands, gardens, and meadowland are crisscrossed by easy trails. Bring your children to the new Fairy Forest here, where fairy folk have set up a colony. The Rockbridge Bird Club leads bird walks at Boxerwood the first Saturday of the month at 8am. Calendar favorites for outdoor fun include the Nothin’ Fancy Bluegrass Festival in September, Mountain Day in Buena Vista in October, and the Apple Butter Festival, also in October. Check the calendar for dates and locations . For outdoor inspiration before one of these gatherings, slip down to the Woods Creek Trail, which runs the length of W&L and VMI, or the Buena Vista River Trail along the Maury River. For golfers, head to the stunning Vista Links in Buena Vista, where the Blue Ridge Mountains are your backdrop. Final suggestions for scenic fun? Canoeing and kayaking on the Maury River, driving through Goshen Pass, and joining the McCormick Fall Farm Day on October 6th, when an historic 1700s gristmill cranks back into action.